Berlin based label Mo’s Ferry Prod. is celebrating the release of the 4th studio album by their very own Dapayk Solo. 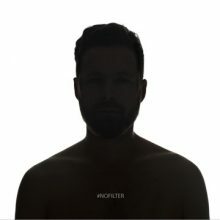 Titled „#nofilter“ the album will be out on Oct 12, 2015. After having turned to a more melodic and gentle side on his last two album releases as part of the german electronica duo Dapayk & Padberg, „Smoke“(2013) and „Smoke – The Family remixes“(2014), Worgt is now being much more experimental and edgy in his productions. „I wanted the sound to be very focused“- he says about his vision for album #4. More straightforward, more reduced, more analog and dirtier than „anything i have done before“.